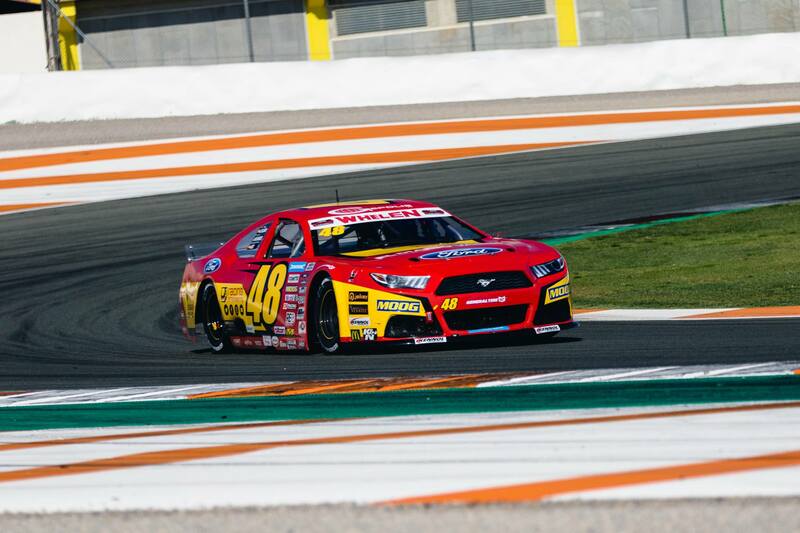 Another Elite 1 victory for Ander VilariÃ±o and Racing Engineering today at Valencia. 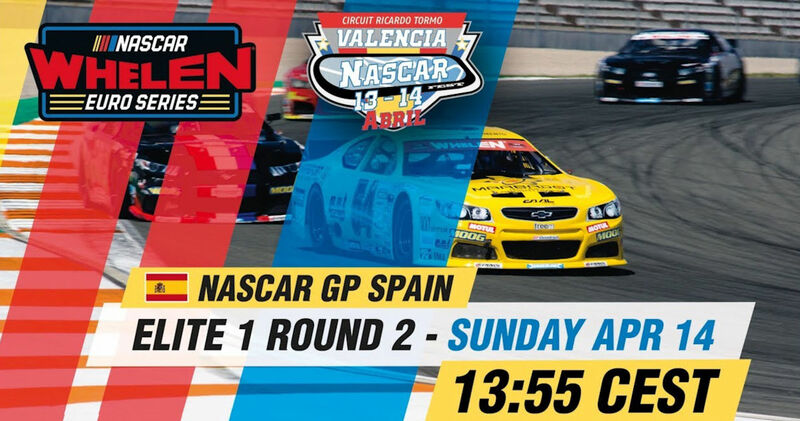 The opening day of the first round of the 2019 NASCAR Whelen Euro Series proved to be very successful for Racing Engineering with the Spanish team taking pole position in both the Elite 1 and Elite 2 races and winning the Elite 1 race. For Ander VilariÃ±o it was a great return to the Series as he won the Elite 1 race from pole position and took the fastest lap of the race. Young American Myatt Snider also started from pole position in the Elite 2 race, set the fastest lap but a last lap incident which he honestly admitted was his own fault saw him finish down the field. For Romain Iannetta it was a disappointing day when he was forced to leave the track to avoid hitting another competitor in the Elite 1 race and was subsequently penalised with a drive-through penalty that prevented him from scoring a good result. For todayâ€™s fifteen lap Elite 2 race Myatt was starting from pole position as he had set the fastest race lap in yesterdayâ€™s race and he took the lead from the rolling start but an incident involving several cars towards the rear of the field saw the Safety Car deployed at the end of the opening lap. Racing resumed on lap five and Myatt made another good getaway to lead into the first corner and at the end of the lap he was 0.9 seconds ahead of Risitano and Venturi. On lap eight Myatt suddenly lost some time and Risitano was able to pass the Racing Engineering car but he quickly recovered and was soon sitting right behind Risitano as the two men began to pull away from the rest of the field. By lap ten the two leaders were two seconds ahead of the chasing group, but another Safety Car deployment closed everyone up again. There were just two laps left as the Safety Car pulled off the track and Myatt lost a little on the run down to the first corner and he was running side by side with Castro for most of the lap! Castro manged to get ahead of Myatt and the young American had to back off making contact with another car causing him to lose a couple of places and with no time to recover he crossed the finishing line in sixth. 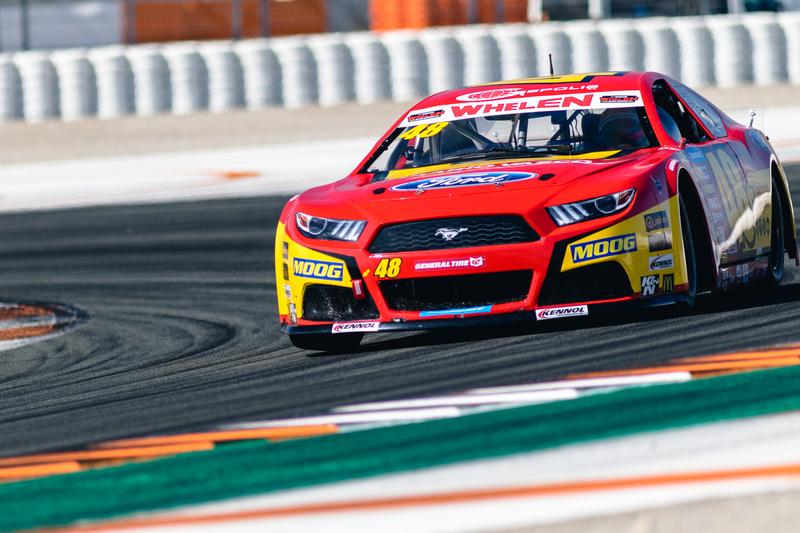 The eighteen lap race for the Elite 1 drivers was held in the afternoon and, once again, it was the Racing Engineering Mustang number 48 sitting in pole position but this time it was Ander behind the wheel while the second Racing Engineering car, number 88, driven by Romain was twelfth on the grid following his disappointing race one. Ander had a slightly slow getaway from the rolling start, and he was passed by Longin and Day into the opening corner dropping to third. 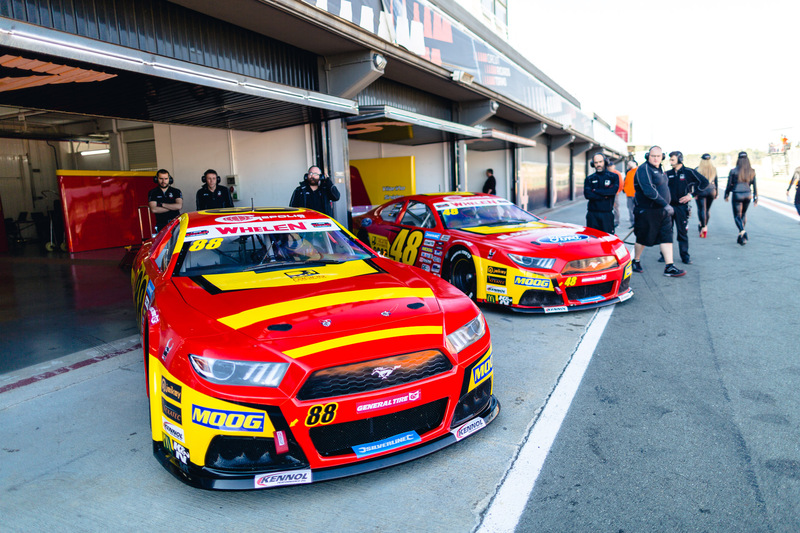 However, as the cars took the green flag, several cars made heavy contact which resulted in the immediate deployment of the Safety Car as the damaged cars and debris was cleared from the track. Racing got underway again on lap six with the field back in grid order so Ander was leading the race and as the green flag was shown he made a better start leading into the first corner and he finished the lap 0.6 seconds ahead of Longin with all the drivers being careful with their tyres as they had already been used in yesterdayâ€™s race, so they were already partly worn. At the end of lap nine, the half-way point in the race, Ander had a 0.8 second lead over Longin with the next group of cars dropping back from the two leaders, but the Spaniard was finding it hard to get away from his Belgian rival with both men lapping in almost identical times. On lap twelve the gap was just 1.2 seconds but Hezemans in third was closing in and he was 1.5 seconds behind Longin, but Ander now began to open out his lead and three laps later he was two seconds ahead. Ander completed the remaining laps without any problems to take the chequered flag 2.5 seconds ahead of Longin. Following the Safety Car deployment at the start of the race Romain was in eleventh position but he ran wide and dropped to fourteenth. The French driver was not deterred, and he now began to pass cars regularly and he quickly began to move into the top half of the field and within six laps he was up to a very impressive seventh place. He was just over six seconds behind Gabillon in sixth and he tried hard to close the gap in the remaining five laps but although he halved the gap there wasnâ€™t enough time and he had to settle for seventh. 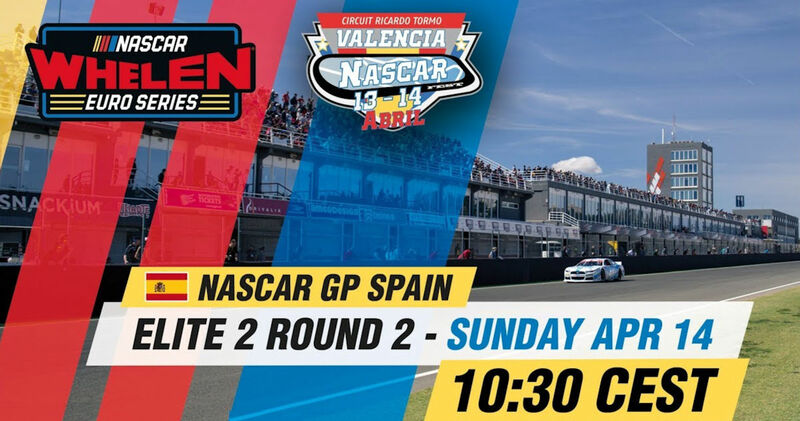 It has been a great weekend for Racing Engineering with one of their cars starting from pole position in all four races as well as setting fastest laps and Ander winning both of the Elite 1 races. 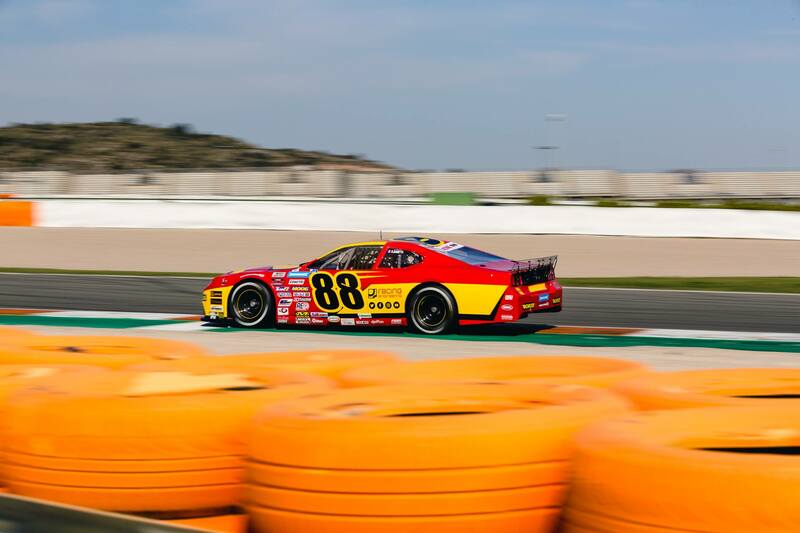 Additionally, although Myatt didnâ€™t get the results he hoped for, he has been very fast in both of his races and with a bit more luck he could have had a race win. For Romain Saturday was a day to forget but he showed today that he can be very quick in race conditions and he can look forward to the remaining races with confidence. There will now be a four week break before the second race weekend at the Autodromo Di Franciacorta in Italy. Alfonso de OrlÃ©ans-BorbÃ³n - President of Racing Engineering: "What a weekend. Itâ€™s only positives from what I can see. Ander, well, he could not have done it any better. Myatt was really strong, just look at his two Pole Positions, just a pity about the other drivers making his life so complicated. As for Romain, it really took us a very long time, and many, many long nights to get his car in good working order for him to show what he is capable of. Finally, today he had a pretty decent car and made up a lot of places, but starting so far back, it was not going to be easy. My takeaway for the weekend is that we have a really good team of drivers, but most important, also a very good team of mechanics and engineers who did an absolutely perfect job this weekend. I am really proud of everyone and now letâ€™s prepare for the next event." 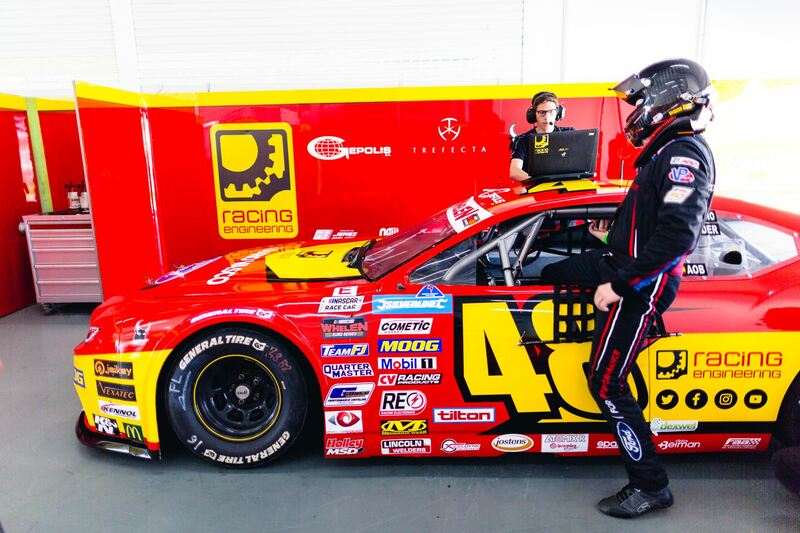 Myatt Snider: "Another great race for the Racing Engineering group and Ford Performance. We had the best speed in the race again, just got shuffled around at the last restart after taking the lead. I think if we have this much speed all year, then we will definitely have a shot at the championship. I just have to make sure that I am in championship mode all year. It should be pretty easy with how well of a job these Racing Engineering guys and girls do. Looking forward to the rest of this year." ELITE 2 Round 2 - 10:30 CEST. ELITE 1 Round 2 - 13:55 CEST.